Swirl flaps are small butterfly valves located within the inlet manifold on modern diesel and petrol engines. They are designed to help regulate the fuel to air ratio, improve emissions and help generate better torque at low engine speeds. At light engine loads the flaps close, causing the air to swirl into the combustion chamber. The swirling effect aids combustion and helps to improve emissions and generate more torque. After 2000 rpm the flaps are generally activated to a fully open position and have very little effect on engine performance and emissions. Some vehicles, predominantly early BMWs, are fitted with metal flaps which are prone to failure. The metal screws holding the flap to the spindle become loose, entering the combustion chamber and causing catastrophic engine damage. Over time the seals surrounding the flap spindle break down and cause pressurized air from the inlet manifold to leak to the atmosphere. Loss in boost pressure will cause a vehicle to run rich, and can damage other components such as DPF, ERG, etc..
Modern manifold designs incorporate an electronic actuator which opens and closes the flaps. These actuators can fail, along with the position sensors. This can result in the flaps staying in the closed position. This hinders performance prompting an engine management light and in some cases limp mode. Carbon from the EGR system along with oil from the breather system causes carbon to build up on the flaps, this reduces the intake manifold size and can hinder performance. 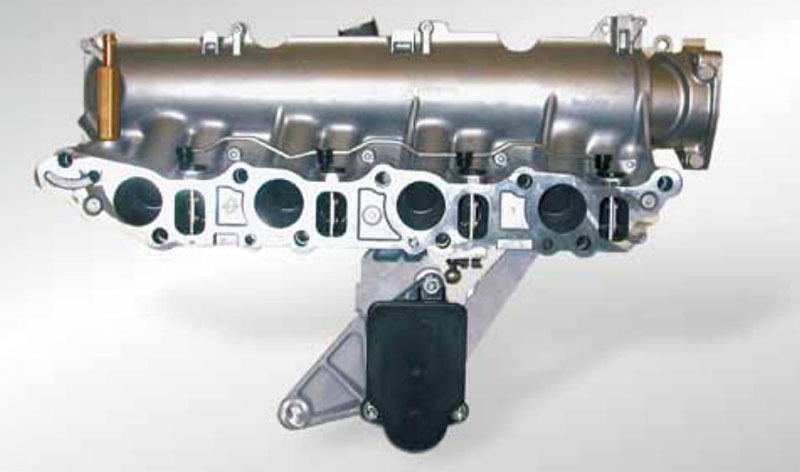 The process for removing the flaps depends on the design; in some cases the manifold is unbolted and the flaps physically removed. In other cases, the mechanical status of the flaps are good, and the fault is due to an electronic actuator. The actuator function can be disabled and the flaps left in place. Very little. The reduction in emissions and performance at low engine speeds is almost unnoticeable. It would only be relevant if no carbon build up had occurred. Due to the fact that carbon build up begins as soon as the vehicle leaves the factory, the removal of the flaps is likely to result in increased performance and efficiency.